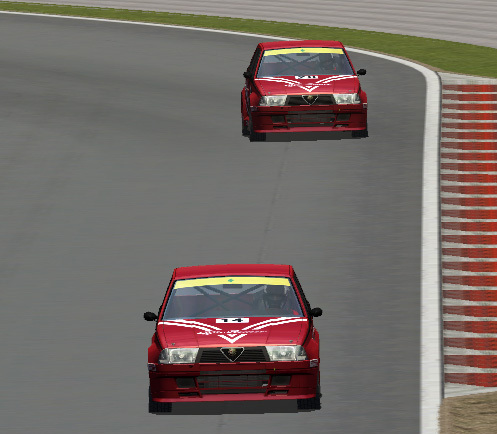 I downloaded the Alfa 75 mod from Race Department and the cars look like they are floating on air because the shadows are very light compared to all the other cars. The cars behave correctly in all other respects (although far too fast in comparison to other '87 touring cars in that class) but the shadows detract from an otherwise great mod. 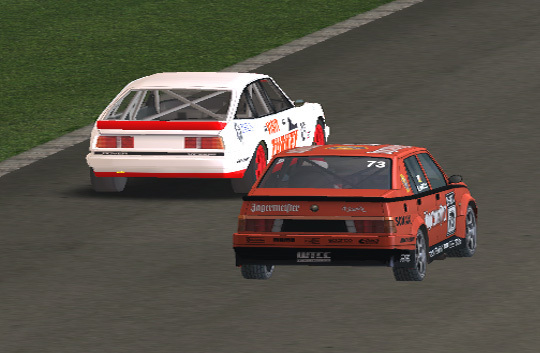 All the other cars have 'CHASSIS'.gmt's while the Alfa only has 'BODY_EXPO'.gmt and does not differentiate the main body from the floor as in other .cas files. 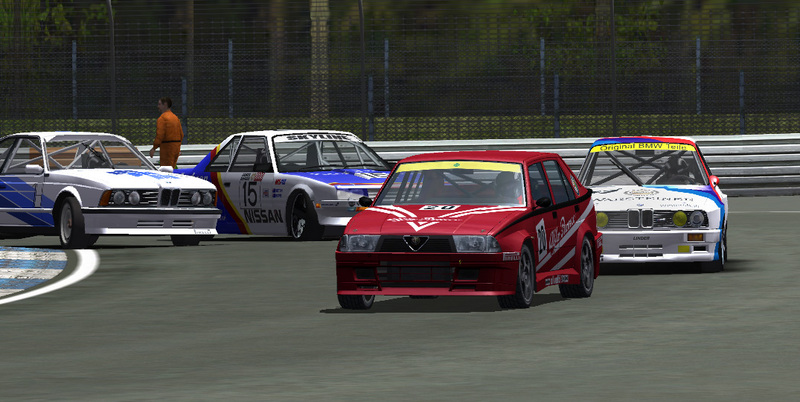 I downloaded the Alfa 75 mod from Race Department. 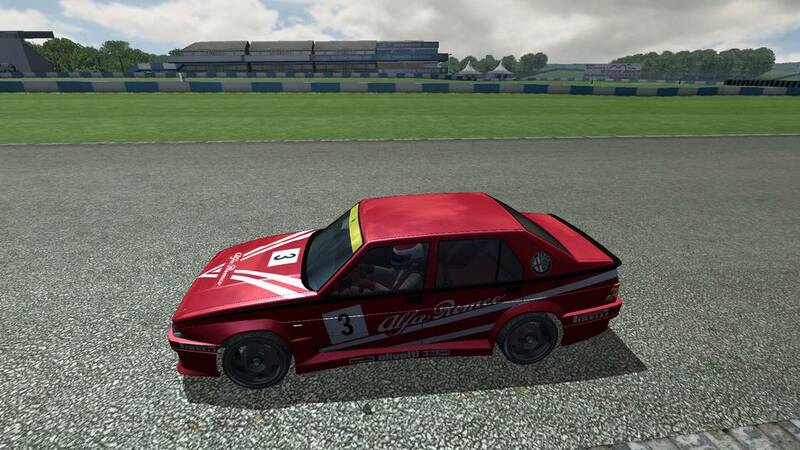 What is the exact name of the Alfa 75 mod from Race Department mate ? I cannot seem to locate it. Okay, got it. I'll have a look at it m8. BTW: Shadow works in my Game. Not as deep as at other Cars, but not the "flying effect". Yes, Muddie, you focused on a difference I had not noticed - in ALL the other cars' .cas files, there was a (True, Solid, 256, 256, AmbientShadA.dds) in the brackets. But if that is the effect of the change, it clearly isn't the solution. 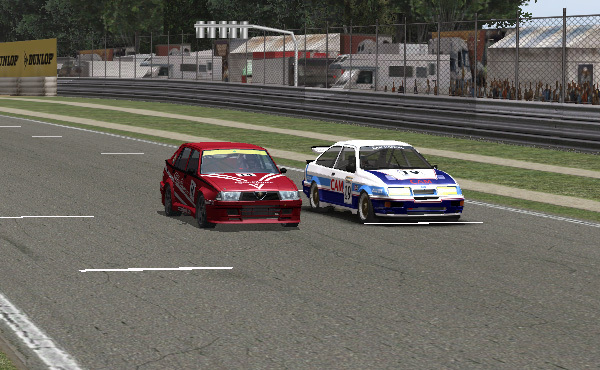 ...except that the Alfa settings are exactly the same as the other cars, besides the AmbientShadA.dds, yet the car shadow appears different. 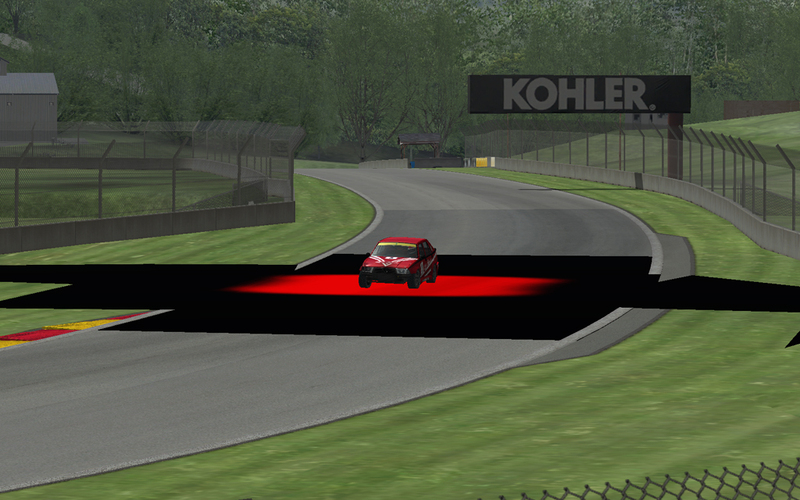 So I am no closer, unless I only race this class at tracks where the sun shines most of the time. There could be a possibility that certain tracks use a shadow_texture of a different shade in intensity. I've changed the material in the alfa_romeo_75_body_shadow_a.gmt to use the texture black.dds. Place right in your Alfa Romeo 75 folder. Thanks fatguts but it's the same mod with one extra skin, the Jagermeister one. Youre Right. Something is wrong with the Shadow. Im drove at 7 PM, nearly Dark, and the Shadow doesnt satisfy me. But another Thing is mor worse. The Shadow on the Window when you drive under the Bow. If you will clear that issue, look in the .cas-File in the Cockpit Part. There is somewhere the Window or cpit_window Line. At the end of the Line you see shadowreceiver=true. Kill that and theres now darking on the Window under the Dunlop Bow. Please try changing this in your .cas file and let us know if it helps ? I did many screenshots after that change had been done, made no difference. At the end of the Line you see shadowreceiver=true. Kill that and theres now darking on the Window under the Dunlop Bow. Just to clarify, does 'kill that' mean change to false? No,no, you can delete the Phrase. Left a Space between the other Phrases. But..Try it, change it to false. I dont know exactly what happens then. My Prognosis: Both Methods have the same result. Please tell me if there is a difference. Both Doningtons. I am running at 1920 x 1080 32 bit and the shadow is as deep as the deep blue sea. Can't understand why yours is having that effect mate. Tell me, do you have anti-aliasing on or off in your configuration? I will try at the higher resolution just to test, but It seems strange that in all the mods that I have, only ONE does this. And I have about 200, so its not a system anomaly - that would be an irrational conclusion, given that this is a completely isolated incidence. There is certainly something wrong with the shadowing in this mod. Dear buddy! I use anti-aliasing level 2, and everything in high resolution, and i think it's very nice. 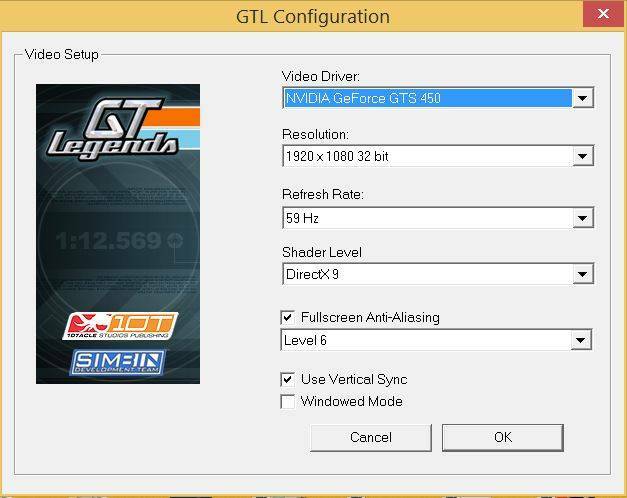 Tell me, do you have anti-aliasing on or off in your configuration? If there is something wrong with the shadowing, then how come it does not happen in my camp ? Thanks will try a few settings. "how come it does not happen in my camp" is not a rational argument, given that all my other mods have correct shadowing. Why should ONE mod and no other do this? It cannot be denied that if you observe the shadowing carefully, the Alfa shadow does not propagate like the other mods, even Ney's screenshot demonstrates this. The shadow is not diffused and has sharp edges, all the others are diffused and have fuzzy edges. I have tried higher resolution with anti-aliasig at he highest level I can, forced Direct X 9 and nothing changes. ALL other mods/cars (1900-odd) shadow perfectly but not this mod. The mod has another problem. 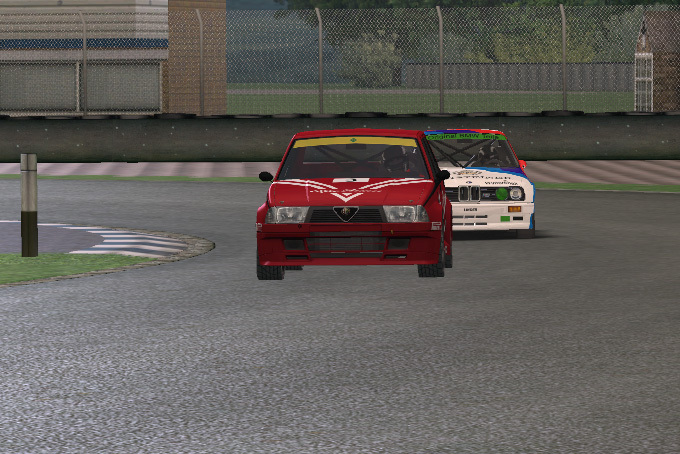 If you run it in AI mode, the Alfas are between 3 and 5 seconds a lap faster than the BMW's and RS500's a lap, which is absurd. 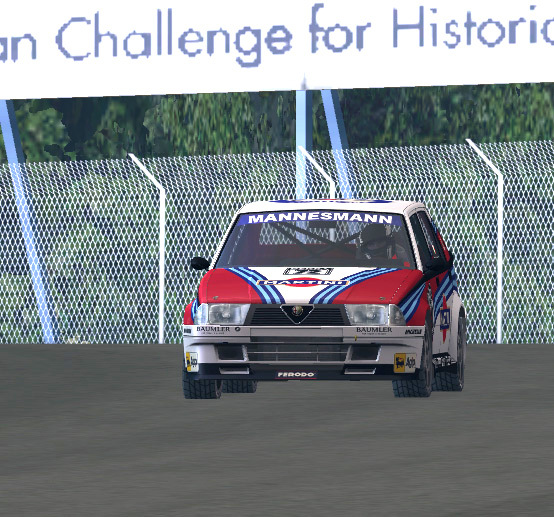 I will just have to exclude Donington (pity because it is the quintessential touring car track) and other tracks where the Alfa shadow does not work from this class.